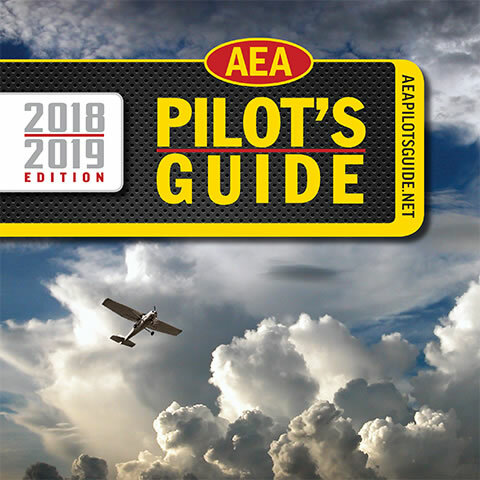 The latest edition of the AEA Pilot’s Guide debuts every year at EAA AirVenture in Oshkosh, Wisconsin, and thousands of pilots and other attendees make it a point to pick up their own copy of this annual publication. This comprehensive guide features various articles aimed at helping pilots make better avionics buying decisions. The colorful guide also includes a directory of all AEA members, including certified avionics/instrument facilities, manufacturers and more. After AirVenture, the AEA distributes thousands of guides throughout the year at all of the major trade shows, and to each AEA member company and thousands of pilot requests. The advertisers benefit from the year-round exposure of this year’s guide. If your customers are pilots or aircraft owners of sport aviation, general aviation or business aviation aircraft, the AEA Pilot’s Guide is your can’t-miss advertising opportunity. Don’t miss out on this unique marketing opportunity! Founded in 1957, the Aircraft Electronics Association represents nearly 1,300 member companies in more than 40 countries, including government-certified international repair stations specializing in maintenance, repair and installation of avionics and electronic systems in general aviation aircraft. For years, the AEA has published the AEA Pilot’s Guide, a consumer’s directory containing educational articles and timely information about the avionics industry, its products and its people. Cheers to another year! If your customers are pilots or aircraft owners of sport aviation, general aviation or business aviation aircraft, the AEA Pilot’s Guide is your can't-miss advertising opportunity. One Low Price * One Full Year * Thousands of Potential Customers!